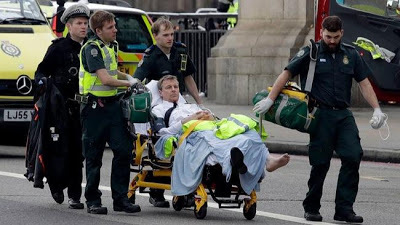 London Attack: Trump, other world leaders show solidarity – Royal Times of Nigeria. 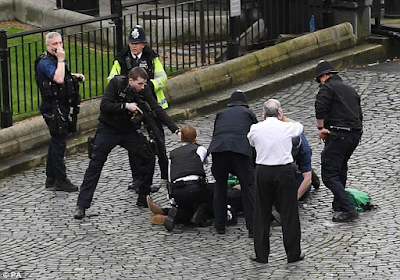 World leaders have voiced solidarity with the UK after the deadly attack near the Houses of Parliament. Five people died and at least 40 were injured after an attacker drove a car along a pavement in Westminster, stabbed a policeman and was shot dead by police in the grounds of Parliament. Among the people injured by the car on Westminster Bridge are three French schoolchildren and two Romanians. Leaders of France and Germany, who have suffered deadly attacks last year, offered the UK their support. US President Donald Trump spoke to UK Prime Minister Theresa May to express his sympathy over the Westminster attack. Trump praised the effective response of security forces and first responders and offered the US’s full cooperation and support in responding to the attack and bringing those responsible to justice. In Paris, the lights of the Eiffel Tower went out from midnight (23:00 GMT) in a tribute to the victims.